We’ve been spoiled with warm temperatures lately, which is great news for summer entertaining. 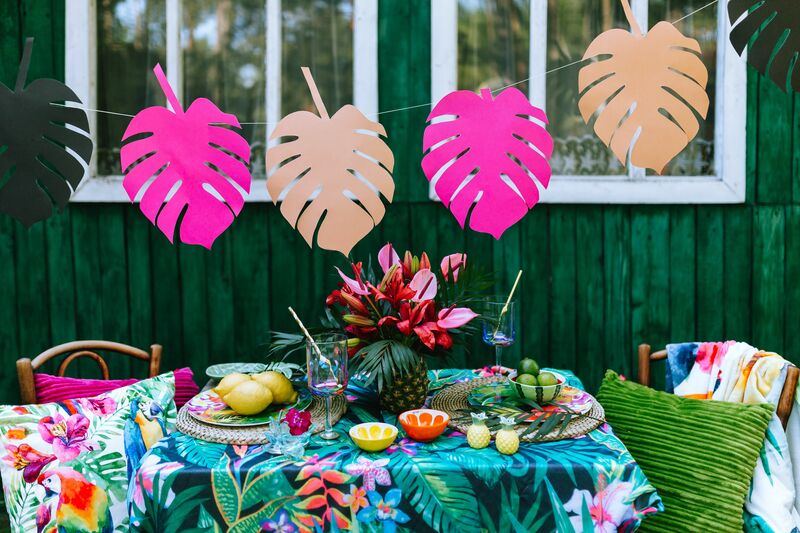 If you love to spend your weekends hanging out in the garden with your friends and family, then throwing a garden party to remember is a must this summer. The key to a successful garden lies in the planning, so if you need some inspiration for pulling off the perfect garden party, you’ve come to the right place. Learn how to plan the perfect garden party this summer with some helpful tips. To make sure you can host the perfect summer bash, you’ll need to make sure your garden is in good shape first. Start by maintaining the lawn, painting any aged or damaged areas and give everything a good clean with a power washer. Regular garden maintenance will pay off during the summer months, as you’ll always be ready to entertain. Seating is important for a garden party – you want people to be able to relax and enjoy the sun after all! Pinterest is a great place to find creative outdoor seating ideas that include hay bales, scatter cushions and wooden palettes. Put out a range of seating and have some backups in case you end up with more guests than you bargained for. Food and drink is one of the most important aspects of a good summer party. While you could go down the barbeque route, that will require someone to tend to the food and take them away from the party. Instead, why not think about serving up afternoon tea or easy to make party food recipes that can be prepped in advance. Drinks wise, make sure that there is a range of beverages on offer. Some classic cocktails are always popular, which people can help themselves to from dispensers, there is nothing better than when people can get what they want straight from the source. Beers and chilled wine are also a good choice, and you should also make sure there’s plenty of cold water on hand to keep people hydrated throughout the day. Want to use your garden party as an opportunity to do some good for others? Why not add a charity element? You can either ask guests for a small donation to attend or host a charity auction/raffle to offer some great prizes to guests while also raising money. Get inspiration from royal wedding party pack ideas for some creative things you can do to make your event a special one. A charity element to your party will help you raise money for a good cause, while still letting people enjoy a fun summer get together. There are plenty of finishing touches which can make your summer garden party fabulous. The perfect party playlist, together with good food, flowing drink and the right company will help make your gathering go off with a bang. Now all you need is for the good weather to continue so that the sun shines brightly on your summer garden party!